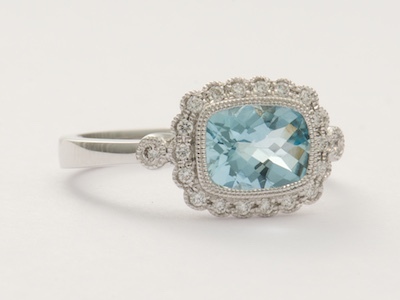 Offering antique and vintage jewelry from eras spanning more than a century from the 1800s to the 1970s, Topazery Jewelry in Atlanta, GA enjoys helping people find jewelry to cherish forever. Since 2002, we've been leveraging our expertise and carefully curating a one-of-a-kind collection of antique and vintage engagement rings and wedding rings as well as necklaces, earrings, bracelets, pendants, and crosses. You'll find traditional (and not so traditional!) fine jewelry as well as a very special array of vintage style engagement rings and wedding rings inspired by the classic beauty and glamor of jewelry from the past. A symbol of shared commitment and enduring love, an engagement ring is much more than a pretty bauble; it's a link to a whole new chapter in your life, and the start of your "happily ever after." And while modern rings are often eye-poppingly gorgeous, at Topazery our passion lies with antique and vintage engagement rings! We're forever searching the marketplace for unique and distinctive rings that have a special sparkle all their own. 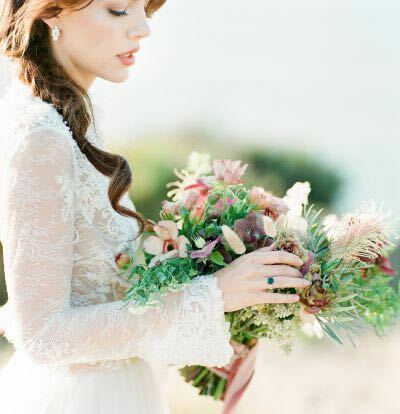 Have you ever stopped to wonder why couples exchange rings when they exchange wedding vows? Sure, the rings are symbols--of love, commitment, and eternity--but how did this tradition come about, and why does it continue today? Shop for a Topazery wedding ring and you'll undoubtedly appreciate antique and vintage wedding rings even more. We're always searching for jewelry you'll love. We scour auction houses, fairgrounds, estate sales, and jewelry shows across the United States of America (USA)-along with more than a few across the pond in Europe-to discover fantastic and unique vintage jewelry. 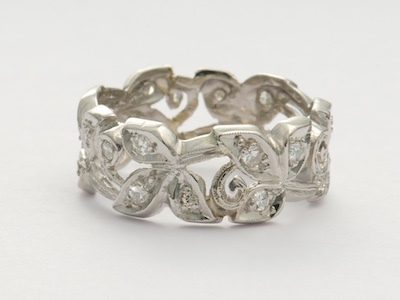 Visit our New Listings page to see our newest vintage engagement rings and other antique jewelry pieces. If you want to be notifed when we add jewelry to our website sign up for our newsletter by clicking on the newsletter icon. It's no secret that we're partial to antique and vintage jewelry, but if you're in the market for a ring that has the allure of a vintage piece with that "fresh off the workbench" feel, the Topazery Collection is for you. These brand-new rings are based on ring designs from past eras and bring together classic craftsmanship and contemporary flair. 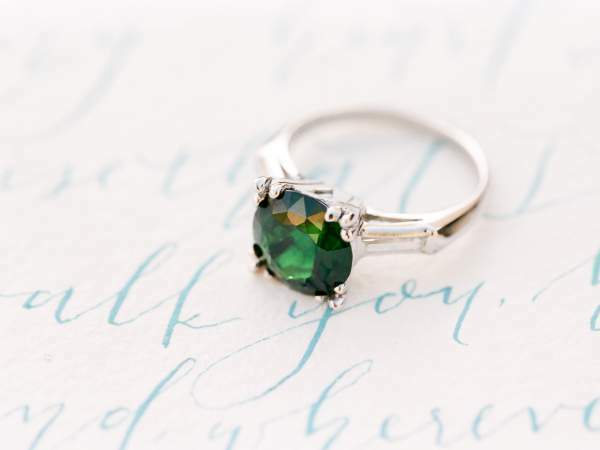 What stories will your ring have to tell? The adventure begins with a look at our vintage style engagement rings. From saying yes to the perfect engagement ring to choosing just the right accent piece for a special occasion, jewelry can change your life. 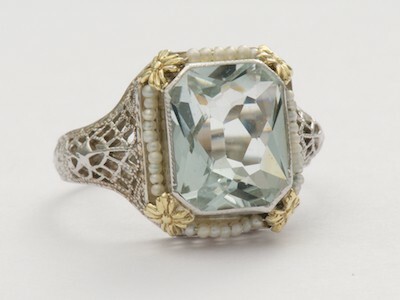 Fine vintage jewelry and antique jewelry brings not just beauty but history into our lives. Underneath the quality and craftsmanship lies the personal story of the jewelry piece, waiting for someone to write the next exciting chapter. So no matter where you are in your story, we can help you find a jewelry piece that you-or a special someone-will treasure for a lifetime. And, we know you'll love writing the next chapter!